HOUSTON — The world championship of bass fishing — the 2017 GEICO Bassmaster Classic presented by GoPro — will be held in Houston for the first time in the event’s 47-year history, B.A.S.S. and the Harris County-Houston Sports Authority, the event hosts, revealed today. The announcement was made during a press conference in Houston’s Minute Maid Park, home of the Houston Astros and where 52 of the world’s best bass anglers will weigh their fish during the March 24-26, 2017, event. The fishing competition will take place on Lake Conroe, a 21,000-acre impoundment of the San Jacinto River in Montgomery and Walker counties noted for producing big largemouth bass. Also during Bassmaster Classic Week in Houston, the nation’s leading fishing tackle and boat manufacturers will take part in the annual Bassmaster Classic Outdoor Expo, to be held March 24-26 in the George R. Brown Convention Center. In recent years, tackle and lure companies have been using the Classic Expo as the venue to introduce their newest products to bass fishing fans. The 2017 Expo will cover more than 300,000 square feet, the largest in Bassmaster Classic history. The 2017 event will mark only the second time for the “Super Bowl of Bass Fishing” to be held in Texas. Television fishing show host Hank Parker won the 1979 Classic on Lake Texoma on the Texas-Oklahoma border. Conroe has never hosted a Bassmaster Elite Series event; however, many of the stars of the Elite Series are familiar with the lake. It was the site of the Toyota Texas Bass Classic from 2009-2013. In addition, superstar pro Rick Clunn, a four-time Classic Champion, worked as a bass guide on Conroe during the early years of his 42-year career in professional fishing. 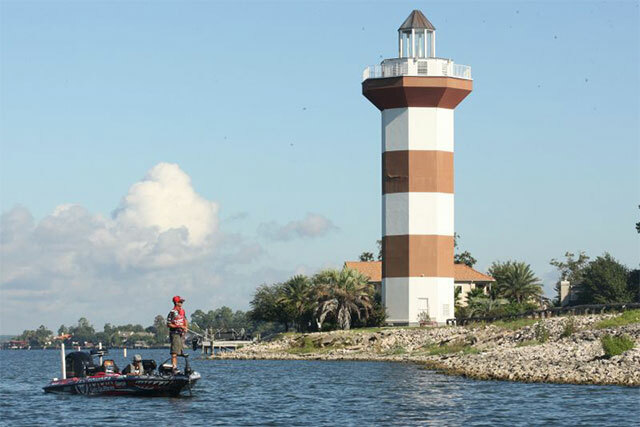 He is off to a strong start toward qualifying for what would be his 33rd Classic — he won the season opener of the Elite Series in March on Florida’s St. Johns River. Clunn will be 70 years old when the 2017 Classic gets under way. The Classic champion will earn $300,000, part of the more than $1 million in prize money to be paid out to the anglers. Akin expects the event next year to draw some of the largest crowds in tournament history. More than 107,000 people attended one or more venues during this year’s Classic in Tulsa, Okla., and on Grand Lake O’ the Cherokees. The event has averaged more than 102,000 in attendance over the past five years. Officials at host cities during that time have reported an economic impact from the event ranging from $22 million to nearly $24 million. More than 250 media representatives from throughout the United States and several foreign countries are credentialed to cover the event each year, and The Weather Channel regularly broadcasts live from the takeoff each morning. Several thousand fishing fans are expected to brave chilly morning temperatures to watch the takeoff next year at Lake Conroe. Fans who don’t make it to the lake will be tuning in to live coverage of the competition through “Bassmaster Classic Live,” a cutting-edge program that streams live, on-the-water fishing action through the B.A.S.S. website, Bassmaster.com. More than 400,000 video plays of Classic Live were recorded this year, resulting in nearly 12 million minutes viewed. The 2017 GEICO Bassmaster Classic is being hosted locally by the Harris County-Houston Sports Authority, and the fishing action on Lake Conroe is presented by the Conroe Convention and Visitors Bureau.